The Stabi clutch is perfect for storing your essentials. Imbued with the customs, culture, and vibe of South African style, this clutch is handcrafted from 100% recycled cotton. Each clutch has a unique, inimitable thumbprint, and the colours are felt out in the moment, not selected, making each Sotsi purse different from the rest. Mixing colour, culture, and style, the Ashanti Design Stabi clutch represents the best of contemporary African design. The clutch comes in one size, and is ideal for containing small, daily necessities. Note: We understand that bag colors are super important; we'll try our best to fill your order with a bag that has the color you request, but we cannot promise to fill it. Material: Cotton & Cotton Mix. 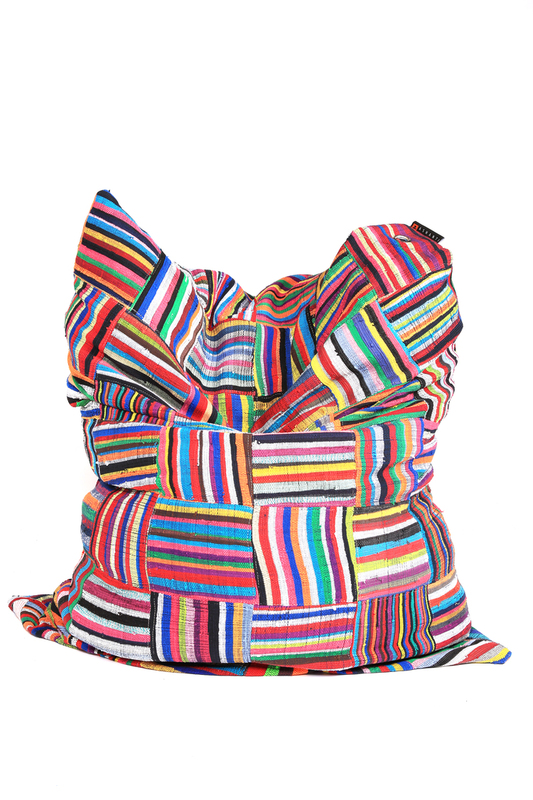 Ashanti Design fabric is made by an upcycling process that reduces final waste which would otherwise go to waste lands. Ashanti cloth is woven in Madagascar, where cast-off cotton fabric is turned into high-end textiles on African hardwood Hugh looms. Ashanti clutches are always one-of-a-kind since the upcycled fabric is consistently different, and the colours are chosen by the artists in the moment. Ashanti Design clutches are designed and handmade in South Africa, providing income for rural villages in Africa while empowering people along the way. We’re 100% focused on quality over quantity, it’s absolutely paramount to us. Ashanti Design clutches bought from our website meet our quality requirement; we’re not to be responsible for any fake Ashanti Design products from other retailers. We want to make sure that production leaves little-to-no carbon footprint; any purchase of any product from Africa Frolic, including Ashanti Design's Stabi clutch, is made 100% guilt-free. 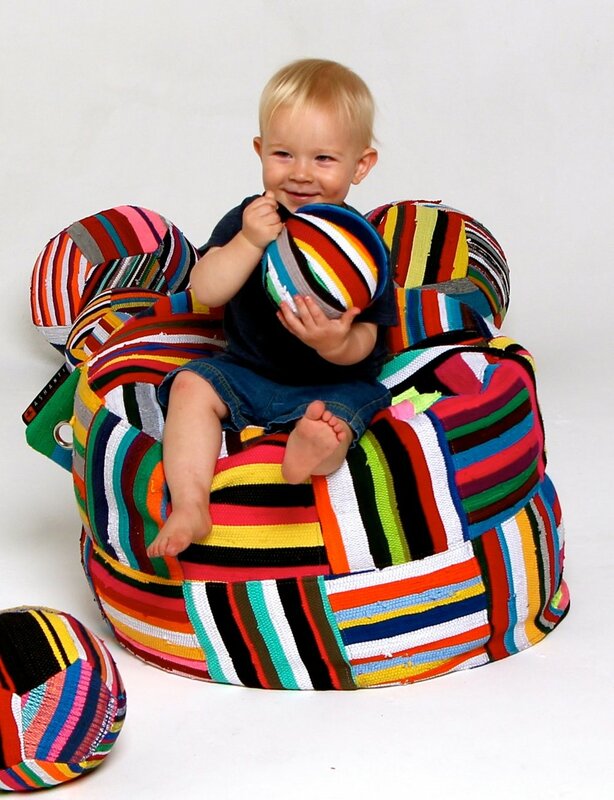 Africa Frolic has a fabulous selection of colorful, eco-friendly bean bags, pillows, benches, furniture, and other accessories. All our products feature exceptional design and style. Africa Frolic curates the best of contemporary South African design. 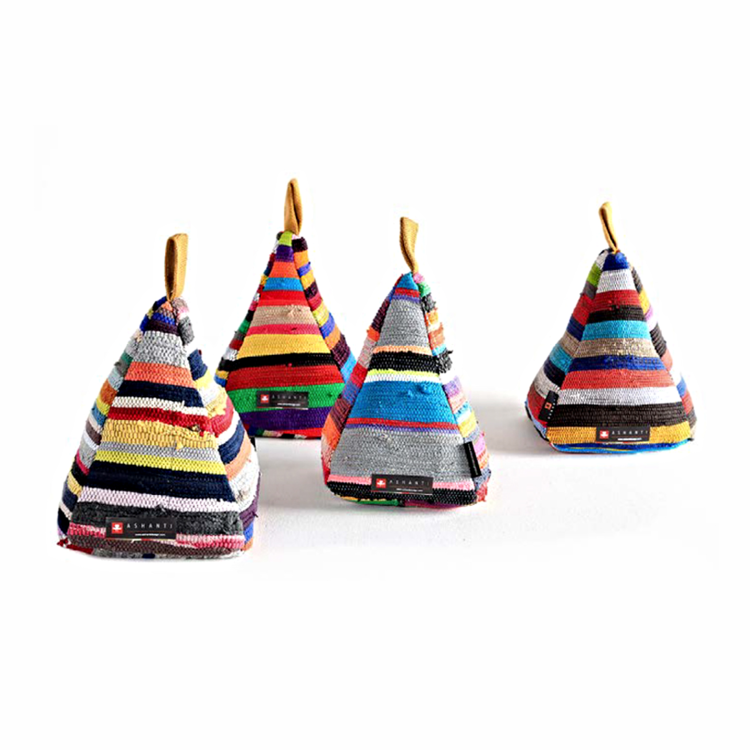 Add a bit of colourful, modern comfort to your home — discover more from Africa Frolic below.